I wrap my soaps in cellophane, one by one, and I put the label in the back. 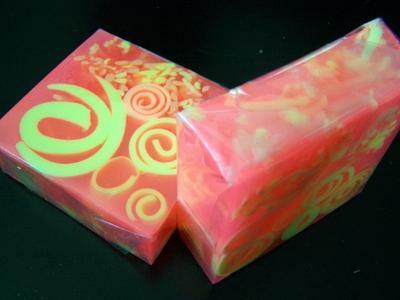 I make very colorful designs and I find it's the best way to see the soaps. I always look into improving my Designs and wrapping, and that's how I end up^on your page. Thanks for all the tips. If you ever have any idea and tips on how to get into wholesale, that would be great. It is my ultimate goal. Here are pictures of my favorite Designs and fragrance. 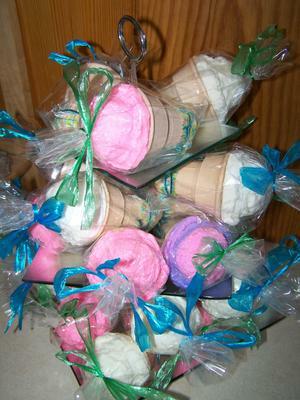 And 2 of the specialty soaps I make. Well done my fellow soap maker. I came across your contribution on the Soap Making Essential page. I just had to say that the designs of your soaps are great. I would love to make soaps that look that way. However I cannot accrue transparent soap base here in Ethiopia. 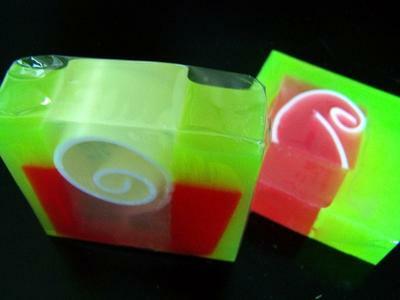 With transparent soap base one can make a lot of novelty soaps which are attractive.